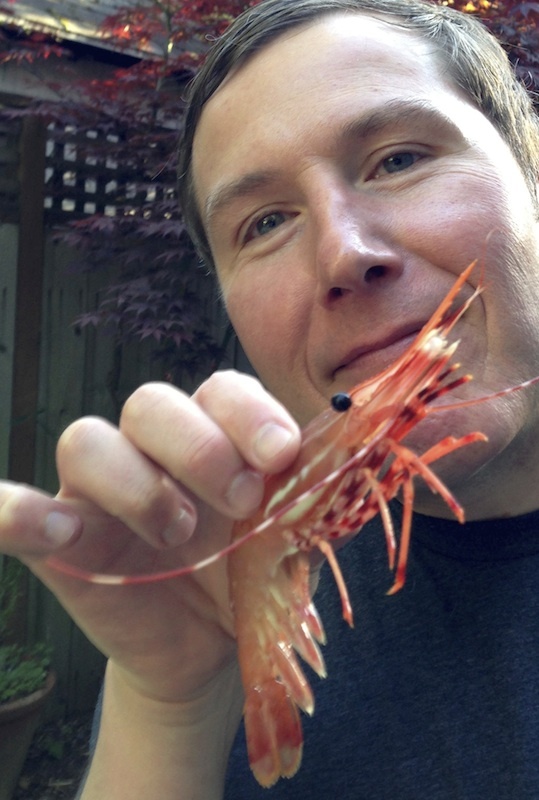 Pandalus platyceros, or the spot prawn, is a Northwest delicacy I first heard about a couple of years ago on a trip to Vancouver, BC, home of the largest spot prawn festival in the province (there are other festivals scheduled in Cowichan Bay, Powell River and Ottawa). As opposed to the uniform pink of most shrimp, these prawns sport deep reddish-pink shells that are spotted with brilliant white dots, and their legs and antennae are banded with alternating red and white stripes (top photo). My friend Peter Szymczak (left, with his little friend) is a spot prawn aficionado of the first order, so when he invited Dave and I to a prawn boil, it was damn the torpedoes, full speed ahead. It was an idyllic, warm spring evening when we arrived at Peter's place, the rich steamy aroma of an Asian-inspired broth wafting from a gigantic pot on his stove. The pot was soon filled with tiny round eggplants, bok choy, bamboo shoots and rounds of daikon, many of which he'd bought at the farmers' market that morning. When the vegetables were nearly done, Peter dumped the live prawns, groggy from the refrigerator, into the boiling broth and three minutes later strained the liquid off, dumping the contents onto a long, newspaper-covered outdoor table. With brief instructions on the proper peeling technique, we dove in. 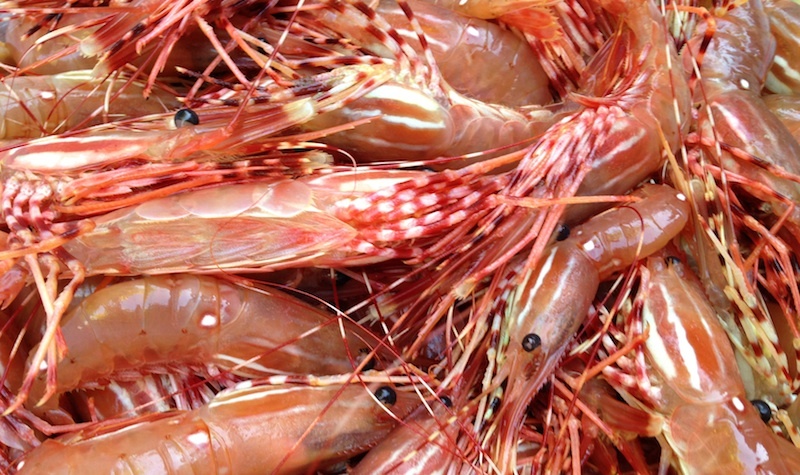 Live spot prawns are available at ABC Seafood (6509 SE Powell Blvd. 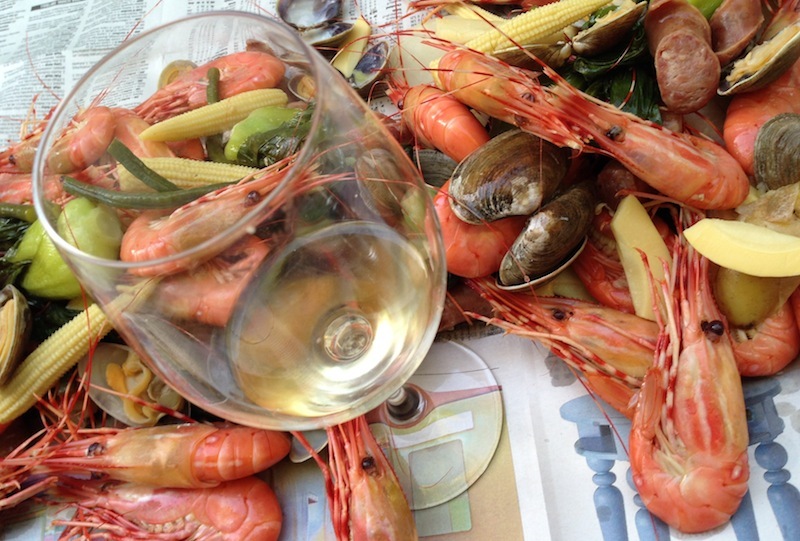 ), but you'll have to act quickly if you want to have your own prawn boil, since the season only lasts about a month. 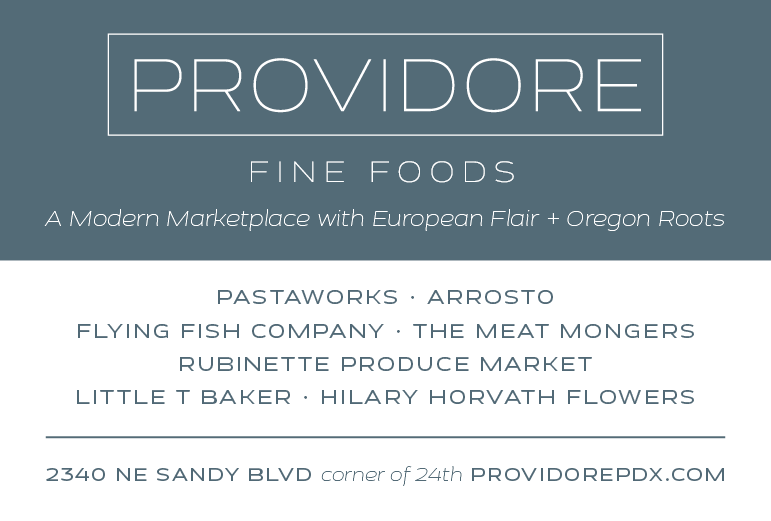 Fabulously decadent, you couldn't do better than this for a truly memorable, unique local feast. Serves 6-8 as an entrée. If a trip to the coast isn’t in the cards this Father’s Day, serving up a prawn boil will bring the taste of the beach to him. Serve the boiled prawns family-style in a large bowl, or load them into stainless buckets and dump them out in mounds on a table lined with newspapers for an authentic beach-side boil presentation. Make the broth. Using the back of a chef’s knife, bruise the stalks of lemongrass to release oils. Fill a large pot with water and add all ingredients, except for lime and cilantro. Bring to a boil and simmer for 10 minutes. Turn off heat and allow to steep for 45-50 minutes. Add cilantro, and let sit for another 10 minutes. Then add lime juice and zest and steep for another minute. Strain solids from liquid, and check for seasoning. It should be salty, sour and mildy sweet. Add more citrus, salt, fish sauce or sugar depending on your taste. To boil the seafood, sausage, and vegetables, bring the broth up to a boil. Skim away any foam that collects on the top. Add sausage and clams, and cook for 4 minutes. Add vegetables in stages: add those that take longest to cook first (potatoes, eggplant, long beans, daikon) and those that cook quickly last (peas, baby corn, bamboo slices, bok choy). Add prawns and cook until opaque, about 3 minutes. Strain out all the veggies, clams, sausage and prawns into a large bowl for everyone to share. Serve with lime wedges, hot sauce, mayonnaise or anything that you’re into. Reserve broth for another use or discard [please don't, though…freeze it and use later for an incredible base for soup, paella or an Asian-style chowder. - KAB]. Making firecracker spot prawns this weekend... quick stir fry of the prawns with homemade chili garlic oil, szechuan spice mix, splash of vinegar and a bit of sweetener. It's prawn sucking time! HOT HOT HOT! Sounds great. Thx, Anon.